The Muslim Brotherhood in America rarely does things willy nilly. 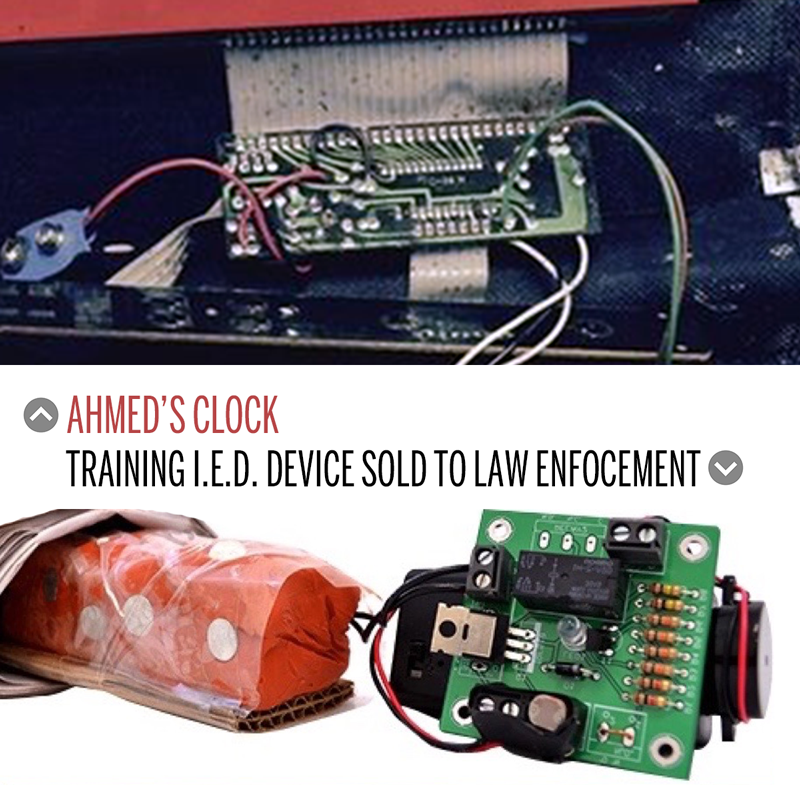 The case of the young Muslim arrested in Texas last week by Police for bringing a device to school – that very closely resembles a detonator – is no exception. Whether his parents put him up to it on their own, they acted under guidance from their Imam, or they did it at the direction of Hamas leaders at the Council on American Islamic Relations (CAIR), this event was an information operation designed to affect the response of law enforcement in the long term, and destroy those who responded reasonably. The following morning, as if it were all scripted, in steps the U.S. leadership of Hamas, doing business as the Council on American Islamic Relations (CAIR). For a 3 minute video on the Islamic Center of Irving, click HERE. So, what is the result of this Information Operation by the jihadis at the Muslim Brotherhood? 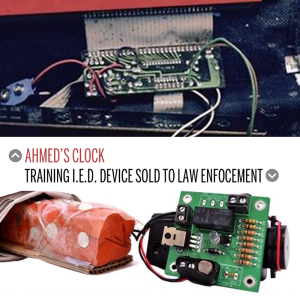 The political left has scrambled to defend young Ahmed Mohamed’s “civil rights” and the political right and so-called “conservatives” are questioning the zero-tolerance policy at Texas schools with regards to things that look like bombs or detonators. All of this leaves the courageous Mayor of Irving, Beth Van Duyne, standing alone. Exactly where the jihadis want her. The global Islamic Movement is led by the International Muslim Brotherhood. Their stated doctrine entered into evidence in the largest terrorism financing and Hamas trial in American history calls for a Civilization Jihad against us to overthrow our government and replace it with Sharia. That trial was adjudicated in Dallas, Texas in 2008. Yet, leaders and citizens on both sides of the aisle are embracing the very Islamic organizations which are a part of this hostile jihadi network. Correct you are. There are no accidental coincidences when the Muslim Brotherhood is involved. 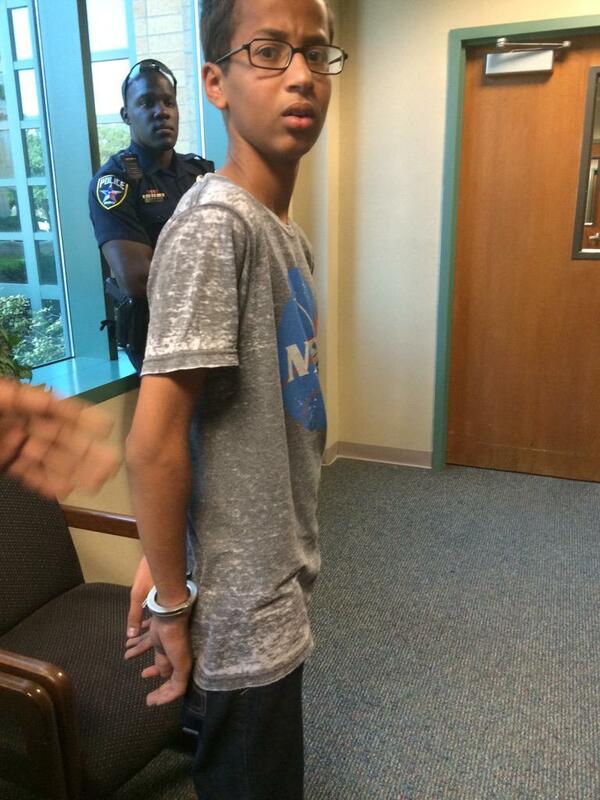 The same individual who is silent in the face of jihadi attacks on Americans rushed to invite young Mohamed to the White House. It could not have been better orchestrated if Ayman al-Zawahiri had planned it himself. The propaganda value of the TV and newspaper coverage alone was huge; and it didn’t cost the Muslim Brotherhood a dollar. The dhimmis in the media prostrate themselves before CAIR and unquestioningly report every statement CAIR makes. When will the media begin to fulfill its role as an investigative agent seeking the truth? Great peace. I completely agree. get the truth out!! Thank God for you exposing them. How can I help too? This is a real disgrace Touchy Feely has got to go. These folks are planning our demise. Hugs and Kisses are not the appropriate response unless they are punctuated with the proper punishment. My country is going to Hades and I have the Dumbocraps to thank.